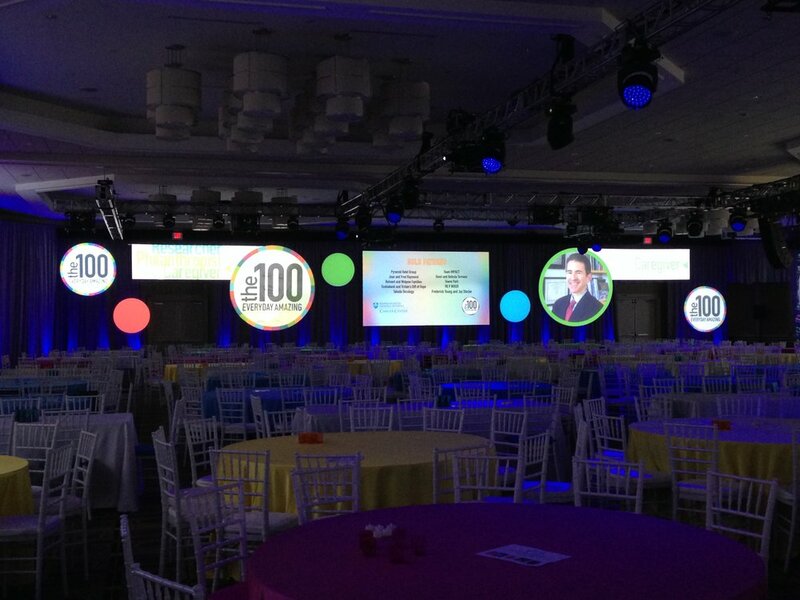 Ice 9 also provided 22 – 14k Christie projectors and multiple D3 servers, allowing the entire room to be video mapped in a 3D environment of pre-programmed looped content. Once Ice 9 was on site, they were able to tweak the video map to match the physical locations of the screens. Multiple sources of video were fed into the D3 to loop honoree content so recognition videos and imag video could be played from one source. Port Lighting provided the lighting, which included: 24 Robe Robin 1000 LED beams, 22 Martin Mac Auras, 4 Robe Robin DLSs, 140 Color Force Compacts and a variety of conventional fixtures. The lighting changed throughout the different portions of the night to match the event colors and program flow. Port Lighting also wrapped the room in Pewter Grey Encore Velour fabric, which we then up-lit with Color Force Compact fixtures. The grey drape took color amzingly well and allowed the video content to "pop" off the wall. 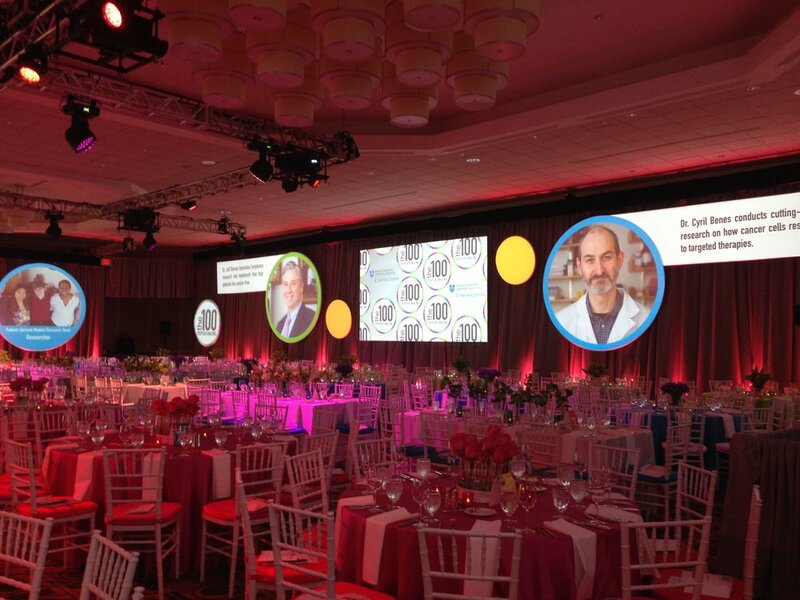 The client loved how this immersive design allowed all of the honorees to be featured multiple times throughout the night on different screens.